The Voyager is a folding travel commode with all the features you need and nothing you don't. The sturdy, lightweight aluminium frame is designed for easy folding and a small packed size, so it's easy to store and convenient to transport. 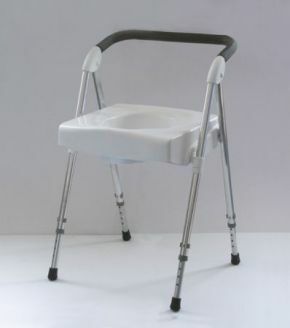 The plastic seat is comfortable but compact and the back support makes a clever handle when the commode is folded up. 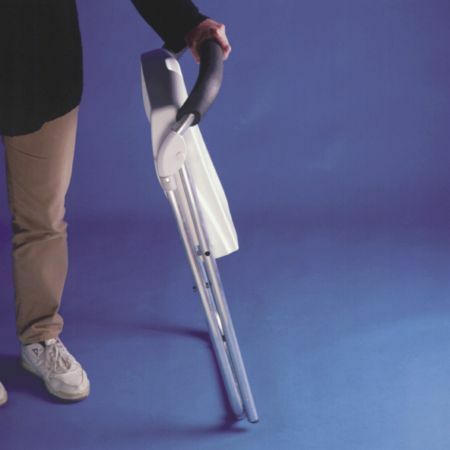 A foldable travel commode is great for when you're on the move but it's also handy when space is limited, or when you'd prefer to store a commode out of sight. 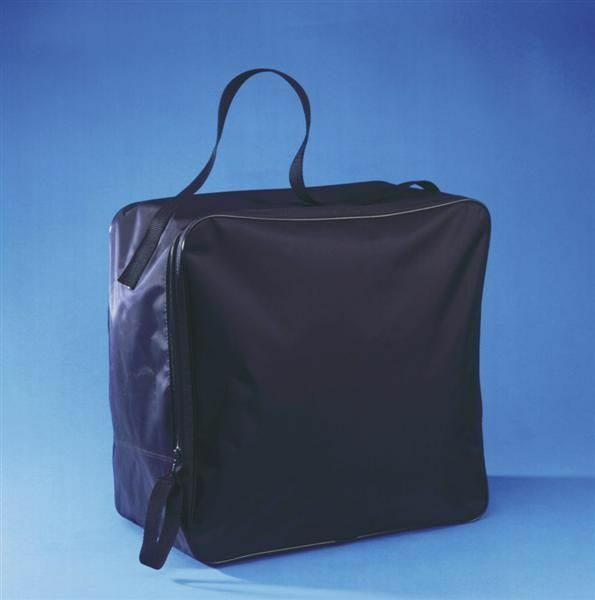 We can also offer a carry bag to make travel and transport with a Voyager even easier. Seat height: 450mm to 573mm (17¾ to 22½"). Backrest height: 265mm (10½") above seat.